This week we are very pleased to present an interview with Mango and Marin, who are mental healthcare workers based in New York City. We are going to get into a lot of topics, including anarchist critiques of psychiatry, ways that anarchists can be comrades with people who have survived the psych industry, and the Earth First MAD Camp. Shoutout to Jayden for setting up this interview! We had to cut a bunch out of the broadcast version of this interview but check out the podcast up on our website and streaming on all the apps, for much more information about how to access open dialogue style therapy and tips on how to start a MAD Camp. Also you can check out our blog for a list of further reading material from our guests, again at our website. On Monday, October 1st at 8am sharp in Raliegh, NC, there’ll be a protest at the North Carolina Department of Public Services, which oversees prisons in the state demanding the release of prisoners from solitary confinement accused of participating in the non-violence 2018 Nationwide Prison Strike and as a reminder that people are paying attention. The DPS can be found at 831 W Morgan St in Raleigh. This jumps off a week of activity state-wide to support prisoners on the inside as a follow up to the 2018 Prison Strike. For folks in the Asheville area, this week will have two Blue Ridge ABC events y’all should consider taking part in. On Friday, October 5th, there’ll be a showing of the latest Trouble by sub.Media about Hip Hop as Resistance from 6:30-8 and will be followed by a discussion. Two days later on Sunday, October 7th at 5pm, BRABC will also be putting on a letter writing to reach out to political prisoners whose birthdays come up this month as well as prisoners in NC facing repression for alleged participation in the Nationwide Work Strike. If you want to hear a great, recent podcast on the repression since the #PrisonStrike, check out the September 21st episode of Kiteline Radio. 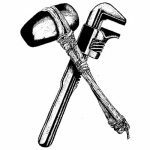 Kiteline is a weekly radio show that covers prison from inside and outside, and is a member of the Channel Zero Network of Anarchist podcasts. We’re excited to announce the addition of Rebel Steps to CZN. I live in France. I find the idea that non-american mental health workers are somehow unconcerned by the evils of modern-day psychiatry quite baffling. I’m not a mental health worker but the question of psychiatry is not one that normal people don’t talk about here. Everyone is concerned in one way or another. We all know people who are are affected in some way. Also we hear about mental health workers’ protests. The pharmaceutical lobby exists here as well. As does dehumanising mainstream psychiatry. The US is not a bubble. It may appear to be at the forefront of the capitalist system but that system is worldwide. Anarchists need to have a worldview even if we (many of us) believe in grassroots, local organisation.